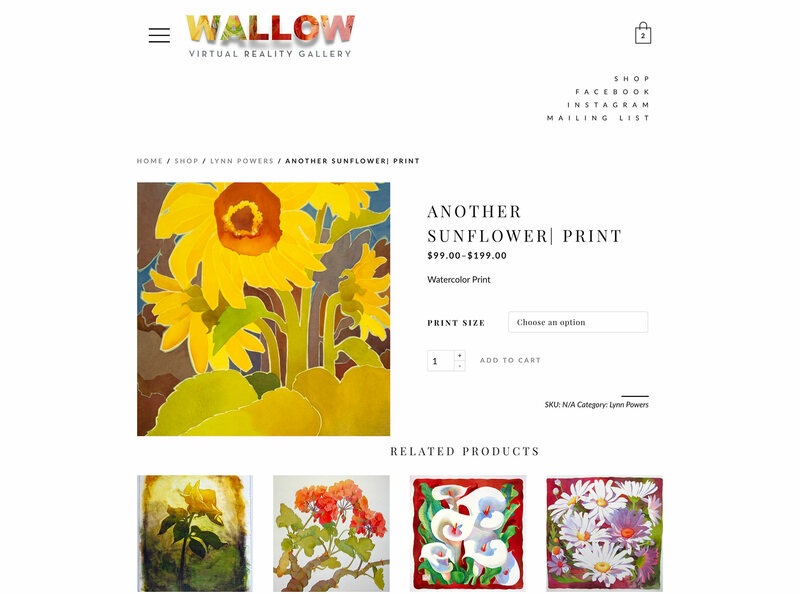 We generally only make websites for wineries and wine events/organizations, but made an exception for WALLOW Gallery. 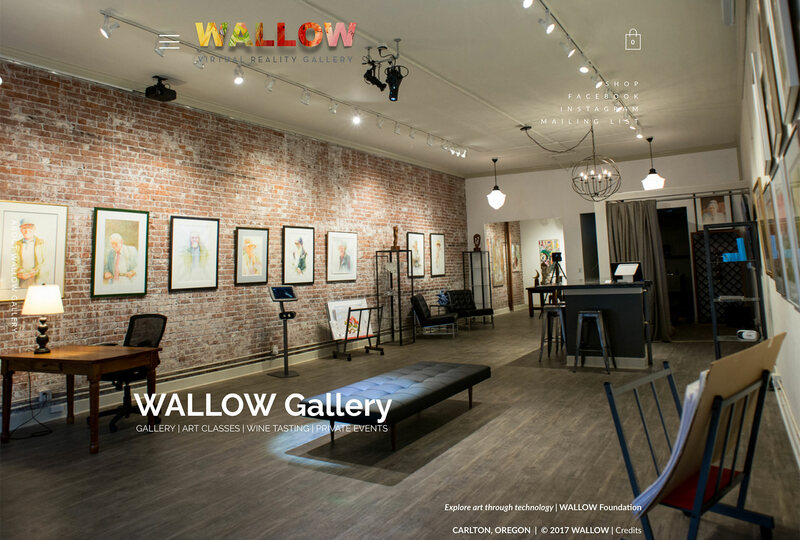 WALLOW is the world’s first art gallery to use virtual reality technology to deepen the experience of viewing and exploring art. Wine also is a key part of the gallery, with a rotating selection of local Oregon wineries pouring at the wine bar while aerial video of their vineyards plays full-screen on a screen behind them. 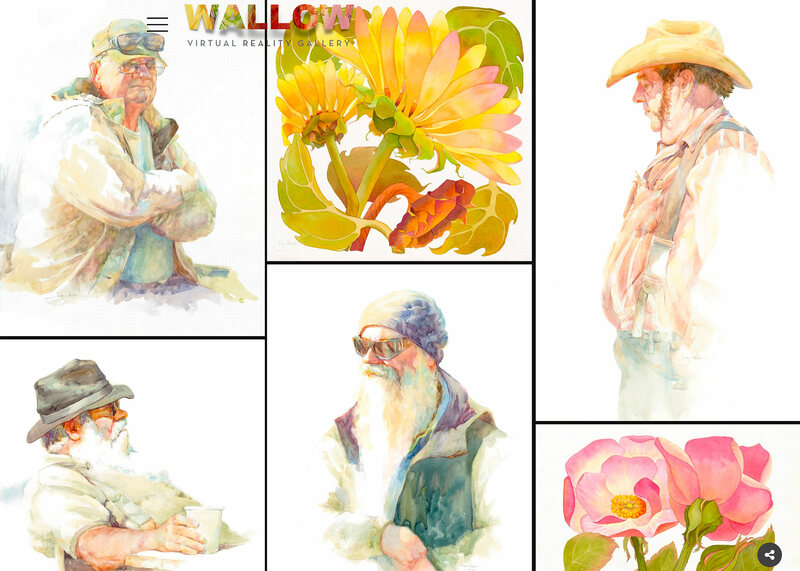 The WALLOW website is a truly unique and modern design built on WordPress, and uses WooCommerce to sell art prints and event tickets online (WooCommerce works great to sell wine online too!). WALLOW needed a highly sophisticated, modern website with integrated ecommerce. Our WordPress website package with WooCommerce was the perfect fit.